In the late 1970's Howard West, Don Wannagat, Kevin Benzenhoefer and several others initiated the development of an Alfa Romeo Owners Group in the Pittsburgh area called "Allegheny Alfisti". Several meetings where held over about 3 year but the club just wasn't able to get up and running. 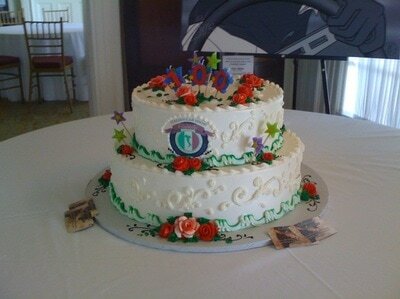 Marianne's family had donated a wonderful Alfa Romeo cake to celebrate the 100th Anniversary of Alfa Romeo, the "Alfa Century", and Jim Shaw was the Chef for the Cortile. Both owned Spiders and suggested doing some driving events to gage some interest. The idea was discussed for quite a number of years but no one could really take the mantle of leadership to get a club launched. There where quite a few potential members, who where more than willing to help out, but the idea needed someone to really drive home the entire launch effort. 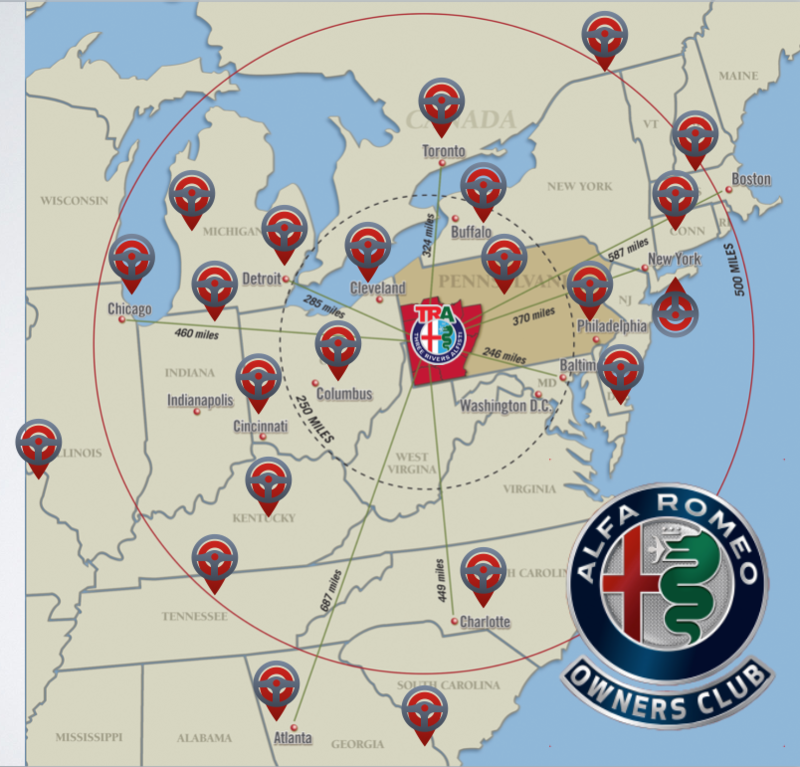 In 2016, Ron Lewis Automotive Group became the only local Alfa Romeo dealer in the Western Pennsylvania area. Jim Neville, who was the Alfa Romeo chairperson for the Cortile just happened to be stuck on the tarmac with the sales team from Ron Lewis as they where returning from Alfa Romeo corporate training. ​They where truly indoctrinated as new Afisti and where quite excited to learn about that the Cortile was celebrating Alfa Romeo as it's Proiettore Macchina for 2017. Gwen Lewis, was put in charge of the promotion for the new Alfa Romeo Giulia and hosted "An Evening with the Giulia" in Sewickly in April of 2017. It was at that event that the Alfa Romeo Owners Club chapter idea again sprung up. Gwen, fully embraced the idea that Bernard Martin and Jim Neville proposed. Bernie was the managing director of the Cortile and also an Alfa Romeo owner. The Three Rivers Alfisti officially launched at the Cortile Italian Car Show Saturday July 15, 2017! Howard West's Sprint Speciale was on display at the show, and Don Wannagat's' Alfa was on the track both weekends bringing AROC history in along the Three Rivers full circle. On June 8 Gwen Lewis hosted an initial meeting of interested people at the Ron Lewis Automotive dealership. The founding members got to check out a newly delivered Alfa Romeo 4C. The club was officially voted on and created. It just so happened that John DiVitto, the current President of the Alfa Romeo Owner Club NE Ohio chapter stopped in the dealership while passing by. Everyone took this to be a good sign!